Please select options for K&N Series 57 FIPK Cold Air Intake (05-09 GT) at the top of this page. 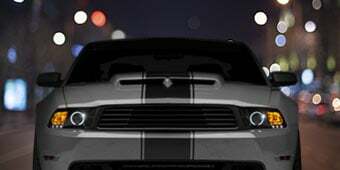 Hey guys, Jeff with American Muscle.com, here with my detailed review of the MBRP installer series single side engine exhaust cap back, available for your five liter powered F150 and your choice of either a natural finish or a black powder coat. Now the installer series from MBRP is designed to be either budget or entry level exhaust system, and it's going to be for those new F150 owners out there who are looking to make a lot more noise, but not really spend a whole lot of money in the process. Now the system I have with me here today is their single side exit system. It's going to dump the exhaust in the factory location, and at the time of this video it's going to be one of the most affordable cap back options on the site. MBRP does offer a dual exit system from the installer series, but more material means more money, but it is available if you're looking for it. Breaking down the kit a little further here guys, we'll notice three inch mandrill bin tooting from tip to tip. Again, that aluminize steel material that we just talked about. The dual include a three and a half inch tip embossed with the MBRP logo, you're also going to get a single bullet style muffler and resonator here with the single installer system, which is going to help round up the sound a little bit, and keep some of the rack and drone down. You know, with that being again guys this is a single exit system. So it is going to dump out behind that passenger rear tire, just like your factory system. And as you heard at the top of this video, this thing definitely has some good sounds, so for that reason, we'll call it a strong 3 out of 5, on a 1 to 5 or 1 to wake the neighbors scale. It's not going to be the loudest system out there, but it'll definitely give you some good tone. Moving on into the install, now guys for the most part half back systems on the new F150 is pretty much a walk in the park. There's a couple of bolts, and for the most part it puts itself together. That being said, it is a little cumbersome, so we'll give it a 1 out of 3 wrenches on our overall difficulty meter, maybe an hour or two of your time, depending on your lift set up. Now keep in mind you might have to cut MBRP does make this system again fit a wide variety of trucks, so depending on your bed and cab size, you might have to break out the saw while I turn this thing up a little bit. For instance we did, we had a super crew, five and a half plug bed, we had to trim a little bit off to fit our factory rig here, but again, not a big deal whatsoever, figure an hour or two, using some basic hand tools, and you should be making some noise in no time. All right guys at the end of the day the MBRP single exit installer series is a great buy. Sure the materials might not be as nice as some of the more premium options out there, but when you look at the tone, you look at the fit and that rock bottom price, it's a great value for someone that's looking to make the entry into an aftermarket exhaust system, but not make a huge investment into a more premium brand. 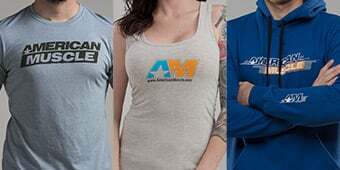 So be sure to check the MBRP, half back for your F150 right here at AmericanMuscle.com. Improves Horsepower. The K&N "Fuel Injection Performance Kit" (FIPK for short) Air Intake kit completely replaces your stock 2005-2009 GT Mustangs restrictive stock air box and paper filter with a high flow K&N filter assembly and intake tube for a noticeable increase in horsepower and acceleration while still providing excellent filtration. CARB Certified. 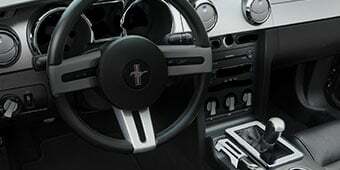 Best of all this K&N Mustang FIPK Air Intake Kit is 50-state smog legal under Carb EO# D-269-34 for the 2005 to 2006 GT models, 2007 to 2009 pending approval. Straight Forward Installation. 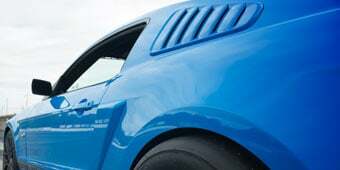 Installing the K&N Air Intake Kit on a 2005-2009 GT is simple and straight forward using commonly available basic hand tools, with no extra modifications or computer retuning required for proper installation. The K&N Series 63 AirCharger High Performance Cold Air Intake will not be California smog legal, whereas the K&N FIPK Cold Air Intake will carry a CARB EO number, making this California smog legal. This will be the biggest difference between the two. Is this like the roush cai where its got the inner tube so you will not have to have a tune? will this fit onto the BBK 62mm throttle body? is there a bigger coupler? This will fit on the BBK throttle body just fine with out the need of a bigger coupler! Is this filter a wet filter or a dry filter? Do I have to oil it upon installation? It is an oiled filter, it does not need to be oiled prior to installation but will need to be re oiled when cleaned. Hi what is the rubber part that connects the intake to the throttle body called? 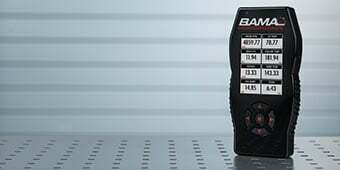 The component you are speaking of is refereed to as a coupler which will connect the air intake tube to the throttle body. The K&N FIPK Cold Air Intake will be able to be compatible with a Shaker system. 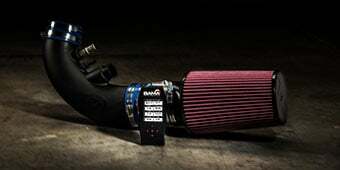 The K&N FIPK Cold Air Intake will free up some horsepower on its own. One can notice the difference just by comparing the factory restrictive air box and comparing it to this non restrictive open intake. On the stock intake you will notice a baffle, a sound tube, of course the small paper filter with a square intake point. This frees up a lot air flow for the motor by eliminating all of those components with a straight through tube. A cold air intake may not necessarily make a noticeable change for the driver. The factory air box is a lot more restriction than this K&N Cold Air Intake. This CAI will both improve horsepower and acceleration because it is causing more airflow. While you may not feel it completely, this CAI does it's job very well. Also, a tune is not required, but I highly recommend it. A CAI and a tune is the perfect combination to improve on horsepower. this is a no tune required CAI. it shouldn't throw any codes. make sure you follow the instructions and disconnect the negative battery cable before installing and you should be fine. if you really want to get power gains and increased fuel mileage you should get the CAI/Tuner combo. This upgrade is purely bolt on. There's no need for a reset or reprogramming. It increases the air to the engine. 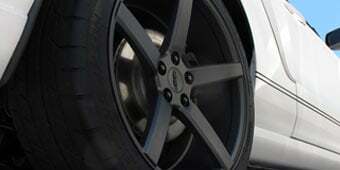 Your ECM will read this and in turn adjust the fuel to air ratio to be optimal automaticly. Now that this has been said, I do suggest a performance programmer such as the American Muscle Bama Tune devices or another like alternative. They aren't nescessary, but they will make a diffrence in responsivness and HP when paired with a CAI like this. You can even find them bundled to sove some $. 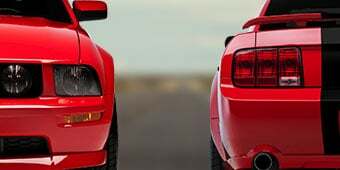 I could tell the diffrence with mine on muy 2001 GT, and guarantee that you will appreciate it on yours. No problems whatsoever, You'll probably notice a slight power gain going from sea level to 6200 ft as the air being taken in is MUCH lower temperature than the air at sea level. A tune would simply unlock more power than you currently have. Simply put, adding a "no tune required" cold air intake to your vehicle, will not add any power directly. The vehicles ECU is still programmed to pull in a specific amount of air. Having the CAI just allows it to do this more efficiently. Adding a tune to the CAI is what really wakes up your vehicle, changing it's programming to take in more air for combustion and in higher altitudes the colder the intake air the more power you get! when I lived in Colorado springs I didn't have any problems at all. I also have SLP loud mouths on. you shouldn't have any problems. One of my favorite upgrades so far! Loved this upgrade so much, bought one for my sis when she picked up her '05. I think this is the review for hers? So i'll speak on her behalf ;) I actually purchased this years ago at around 60k miles. Intake went in fine, no ODB codes thrown after install, nice and easy! Issues I ran into: - Intake actually fell off the throttle a month after install - my error entirely. Recommended to use wrench rather than screwdriver to really crank the straps down :) - Sleeve frayed a bit on the intake side due to above issue. Flipped around after cranking down and haven't run into any issues since. Benefits received: - Noticeable increase in performance - Saved a ton on filter replacements - About 90k miles on this purchase, still cleans and runs like a champ, even with the nasty forest fire smoke that plagues us for a month or so each year. - Comes with a sticker! - Local auto store carries cleaners, easy to restock. Great product, install was easy, not a huge difference but definitely noticeable change in throttle response. Installed in just 1 hour. Immediately felt slight performance increase after installation. My gt sounds even more aggressive now! Fit and finish always great with kandn products. Easy install! install was easy looks good under hood and car sounds a lot louder. I haven't tuned it yet becuase i'm waiting to install my x pipe but even without tune I can feel a difference I can only imgine the gains with it tuned. It’s okay.... I wouldn’t do it again. Don’t really notice much difference at all. Easy to install and could tell the power difference. I can honestly say it's a pretty good cai for the price can't be mad, first mod and I'm happy with it . Looks beautiful under the hood and you can feel a slight power difference. This was my first time installing a cold air intake and it took me a little while longer than most other people who have this product, but everything went in smoothly and fit where it needed. The instructions were clear for the most part, but there were a few hard angles to clearly see what was instructed. Had to get a few new nuts because I was having issues with the nylock ones that came with it. Just an FYI that later in the instructions just before you put the actual filter on it says 'If your vehicle is equipped with a hydrocarbon intake, install it in the adapter as shown' (for the 05-06 intake), keep in mind that only the first half of the 2005 mustangs had them and late model 05's and all 06's did not have them. The installation was a pain. It took five minutes to remove the stock setup over an hour to install the kandn. I blame the instruction manual.It was'nt very detailed,I had to guess where some of the bolts and clamps went.If you don't plan on using a programmer you might be better off buying just the factory style filter and get about the same performance gain in my opinion .Kind of wish I went the easier way and saved money. This cold air intake is amazing, definitely worth the money. Installation is very simple anybody can do it. Gas mileage is better, I'm getting about 18mpg, before I was getting 16mpg. As soon as I started the car I could tell a difference in the way it's sounds. It sounds deeper and meaner. As always the shipping was great, ordered Friday and got here Monday. This is a perfect first mod for any car. It was easy to install. I can feel an increase in power! Fantastic, increased my mpg, was simple to install and gives a little bit of a power boost. Definitely breaths a lot better, not a dramatic change in power but it looks amazing. Sounds a lot better as well. 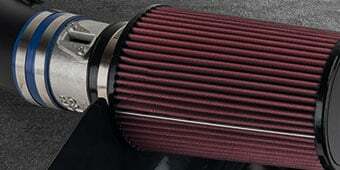 I got this intake because the other ones are not carb approved in California. Still love it though! The install went smoothly, some minor issues that were not clear by the instructions provided (but they were not hard to figure out). I was not expecting big HP increases, but it was pleasantly noticable, you could tell the car was breathing better and it had a nice tone to it. 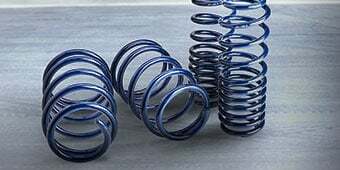 The car ran smoothly, with a noticeable change in second gear (not good for my tire's tread life)Glad I got it, and would highly recommend to anyone. This CAI is great, installation is simple. After installation throttle response has improve and exhaust has become more deeper when you step on the gas pedal. No check engine light. Really brought my Gt to life sounds better feels better runs better and overall looks better under the hood couldn't be more satisfied with this product definit bang for my buck. Two thumbs up! !